At this time of thanksgiving and during this season of giving, it is appropriate that we should reflect on the collaboration St. Luke’s engages in with community partners for the benefit of community health. Here is today’s guest blogger, Beth Toal, vice president of Communications & Marketing, with her thoughts on just this. The holiday season provides just the right opportunity to reflect upon and celebrate what matters most: family, friends, health and the many other blessings in our lives, great and small. In the midst of the festivities, we’re also reminded that there are many among us who are struggling – and the important role we all play in helping those in need. As Idahoans, we have a reputation for being fiercely independent, pioneers that can endure the toughest situations. We’re also known for our generosity and our willingness to come together when there is a need. We fundamentally understand that we can accomplish more together than we ever could on our own. It is this pioneering spirt and commitment to collaboration upon which St. Luke’s was founded in 1902, and that make the care we provide possible even today. It is this same spirit that fuels our commitment to being the community’s trusted partner through collaborating with our employees, physician partners, generous donors, numerous community leaders and a multitude of businesses and organizations to address the critical factors that contribute to health and the quality of life in our state. We are fortunate to not be alone in this work. Throughout the year, businesses and organizations of all sizes do their part to bring together the financial resources, volunteers, community awareness and support needed to improve the lives of our friends and neighbors. Here’s an example. This month, KTVB, Idaho’s News Channel 7, is coordinating 7Cares Idaho Shares, an event that brings together dozens of businesses and organizations and hundreds of community members to support local charities that provide resources for individuals and families in need. Last year, this collaborative effort provided more than 1.2 million meals to hungry Idahoans — far more than any one organization could have achieved alone. The Chobani food company in Twin Falls has been recognized for its efforts to make communities stronger. Through the Chobani Foundation, the company and its dedicated employees help make nutritious food more accessible, especially to children and underserved communities. Chobani also invests in small businesses and community amenities that spur economic development and make the community a better place to live and work. The Idaho Statesman has brought together nearly two dozen Idaho companies to invest in projects that improve the community through the innovative Together Treasure Valley initiative. One example is the group’s support of Our Path Home – an effort to establish one coordinated entry point to services for individuals and families experiencing housing crisis. These businesses and countless other organizations that contribute in a myriad of ways are making a meaningful difference in our communities. As we look to the New Year, we know that generosity, collaboration and partnership will continue to be hallmarks of this amazing place we call home. We know we cannot solve every challenge facing our communities alone, but we are committed to doing what we can. At St. Luke’s, for example, our Community Health Needs Assessments help keep elected officials, health and social welfare agencies, businesses and non-profit organizations informed about the most pressing health needs in each of the communities we serve – providing a means to collectively focus our energy and resources on services in areas where we can have the most impact. In addition, St. Luke’s is set to provide funding through our Community Health Improvement Fund (CHIF) grants this year to nearly 60 community organizations across our state. For the past two decades, these annual CHIF grants have enabled not-for-profit organizations who are working to address important health needs to create or expand programs that provide critical support, help keep people healthier and improve their quality of life. We live in a special place, one with the right balance of independence and collaboration. We work hard and we support each other. We blaze new trails and we’re careful not to leave anyone behind. As we enjoy this season of thankfulness and generosity, we at St. Luke’s celebrate the many organizations and individuals making a difference all around us. We’re excited about the promise of the year ahead, and we look forward to working with our amazing community partners in 2018 to make an even greater impact — together. 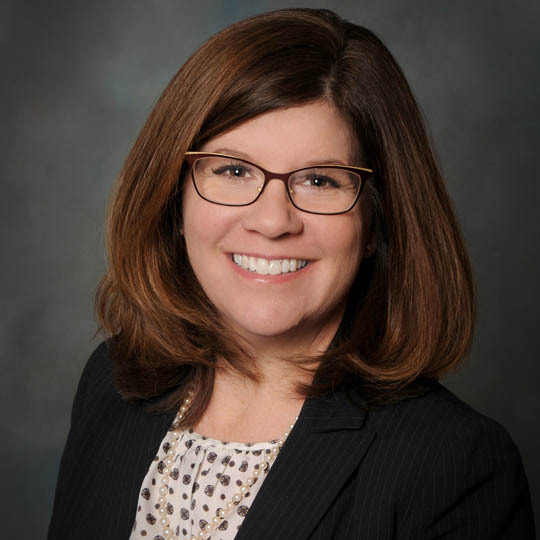 Beth Toal is vice president for Communications & Marketing of St. Luke's Health System, based in Boise, Idaho.